There are so many benefits to consuming flaxseeds, from their antioxidant properties, to protection against cancers and reducing hypertension. Flaxseeds are excellent sources of omega-3 fatty acids, zinc, calcium, iron, potassium, folate, magnesium, manganese, protein, and fiber. In fact, flaxseeds have the highest omega-3 fatty acid content of all foods! Omega-3 fatty acids and the antioxidant manganese are beneficial in supporting the cardiovascular system and helping to prevent excessive inflammation. Flaxseeds are also the most concentrated whole-food source of “lignans” – up to 800 times higher than other plant foods. Lignans are fiber-like compounds associated with increased survival of cancer patients, particularly breast cancer. Flaxseeds also have the potential to suppress the growth of breast and prostate cancer tumours. Ground flaxseeds can blunt the spike in blood sugar after a meal. Consumption of flaxseeds may improve insulin sensitivity in people with glucose intolerance. In diabetics, a daily tablespoon of ground flaxseeds taken for a month improves fasting blood sugars, cholesterol, triglycerides, and hemoglobin A1c levels. High blood pressure is the #1 risk factor for death in the world. Flaxseeds are the most powerful nutritional intervention to have been induced in achieving antihypertensive effects on patients with high blood pressure. Angiotensin-converting enzyme (ACE) inhibitors and calcium channel blockers are medications often used to treat high blood pressure. However, flaxseeds lower systolic and diastolic blood pressure more drastically than these medications, without negative side effects. High blood pressure isn’t inevitable as we get older. Those who eat more plant-based diets or keep their salt intake low enough tend to not exhibit changes in blood pressure with increased age. Our gut contains trillions of healthy bacteria that detoxify some compounds while activating others to increase the body’s absorption of the nutrients in a plant-based diet, such as lignans. Flaxseeds also contain soluble fiber, which forms gels to provide support for the intestinal tract. Soluble fibers help the stomach empty its contents into the small intestine slower, which improves absorption of nutrients. We’ve all heard the saying “you are what you eat”, right? Well, the foods we eat affect how we look on the outside too. Flaxseeds or flaxseed oil can be used to treat sensitive skin, improving the roughness and moisture. However, flaxseeds are less expensive and more stable than the oil. You can also bake with the seeds without destroying the omega-3s. Ground flaxseeds make an excellent binder in muffins, cookies, bread, and pancake recipes. It creates a slightly nutty-flavoured, thick, gelatinous egg replacement. Replace 1 egg by mixing 1 tablespoon of ground flaxseeds with 3 tablespoons of water. Allow the mixture to sit for a few minutes before adding into the batter. 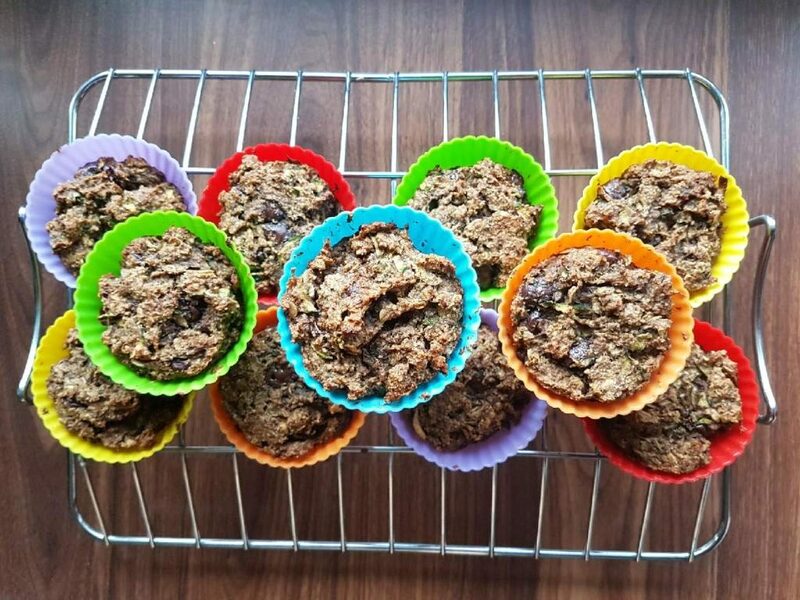 Visit our Breakfast Recipes page to learn how to make muffins with flaxseeds! Buy whole flaxseeds in bulk and ground them when you need to use them. Ground flaxseeds are easier to digest. Once flaxseeds are ground, they are likely to be oxidized and lead to spoilage. Unused freshly ground flaxseeds should be stored in a darkened airtight glass container in the fridge. Add them to smoothies for a boost in nutrition! Sindy holds a Bachelor of Applied Science in Nutrition and Food, with a minor in Psychology. She’s studying holistic nutrition to become a Certified Nutritional Practitioner and plans to specialize in plant-based nutrition. Sindy currently works as a Nutritionist at a health food store in Toronto, and volunteers as a nutrition educator at a food bank. 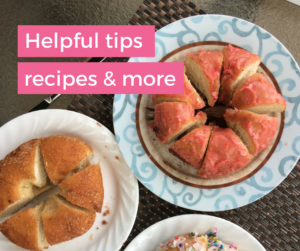 She loves cooking, baking, creating recipes, and writing about health topics. Sindy writes a nutrition column in the Toronto Vegetarian Association’s newsletter, Lifelines. She enjoys sharing practical knowledge regarding nutrition and achieving health through a holistic approach. The food we eat has an enormous impact on not just how we look, but our mood, energy levels, and so much more. 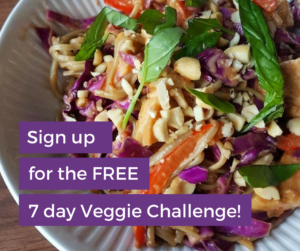 Take the Veggie Challenge to see what benefits you experience!